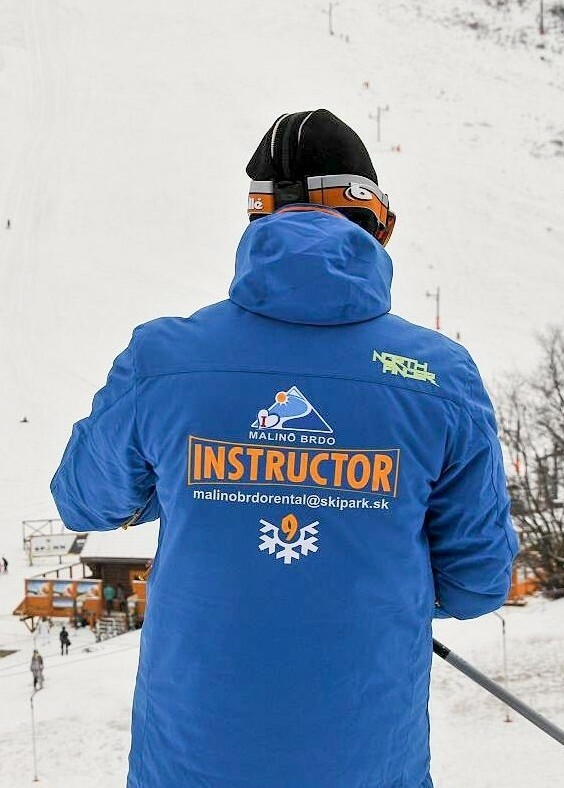 Whether absolute beginners on skis or snowboard or pre-intermediate you should go ahead and try services of our experienced instructors. We are going to teach you how to properly ride a snowboard or ski and we will help those that want to take it to a next level. We offer the following individual and group courses, and a kindergarten for children as well. Individual lessons are recommended for absolute beginners or for those that want to improve their technique. Suitable for beginners and demanding clients. Group lessons recommended for clients that already master basics of skiing alphabet and skiing in group is a new challenge for them to compare their skills with others. Suitable for clients that have basic experience with skiing or snowboarding. 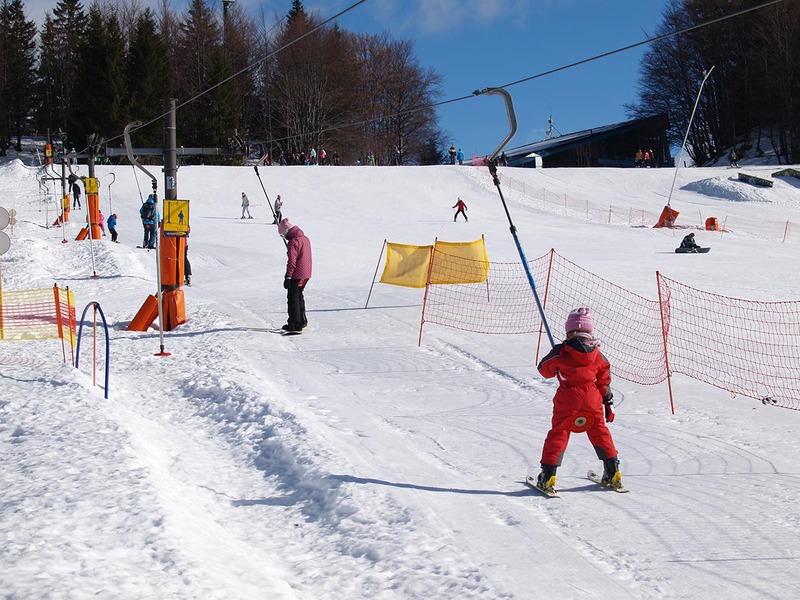 If you have a problem to teach your young ones the ski basics you shouldn't forget about the services of our children kindergarten. 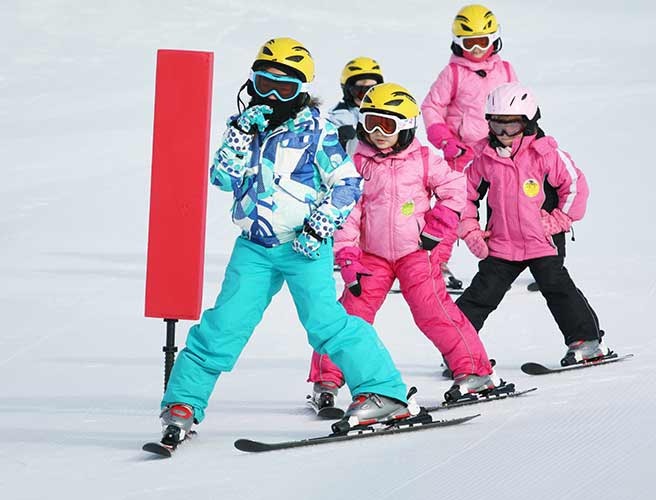 Suitable for children up to 6 years: children acquire skiing skills through games. The aim is to learn to control skis. Traversing bunny slope in a basic ski stance with wedge-shaped plow stop. Taught using exercises on a plain or bunny slope with the aid of playing. Length: 3 – 4 lessons. The aim is to learn parallel turns. Length: 4 – 6 lessons. The aim is to learn parallel turn with reduced radius of the turn. Difficulty level and steepness of the slope where the lessons are taught are gradually increasing. The aim is the carving turn. Mastering other types of turns in various terrain conditions. The aim is to acquire the fundamentals. Training on plain or bunny slope. The aim is to turn. The aim is the ride blue square or black diamond slope with carving turns. The aim is to ride the most difficult slopes. Valley cableway station - location Hrabovo. Hrabovo, parking - Lilly šport. from the start of the season, daily from 8 a.m. to 4.30 p.m.